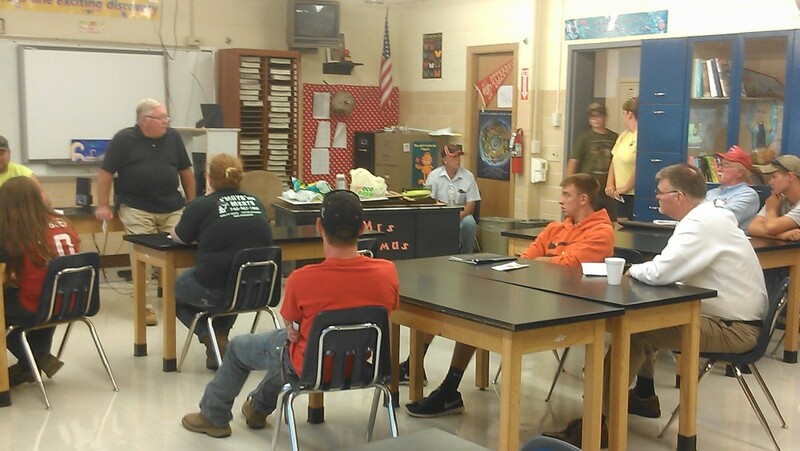 Thursday, July 24, 2014 we held a meeting at Johnstown High School to discuss the upcoming fair, skill-a-thon, steer sale, preparing for the show, carcass show, completing project books, and a few other items. It was a very informative meeting with approx 50 people in attendance. Thanks to Tad, Tim, Rodney, and Amy for a very good meeting. Reminder: Steer Pool Quality Assurance for 2014 will be held this Sat from 1-4:00pm in the Hartford Fair FFA building. Please bring your completed project books, completed dunf form, and signed livestock owners certificate. Remind your friends to sign up at the entrance of the steer pool barn if they are interested in being in the program next year. We need all the new members we can get. Beef prices are going higher and corn prices are steady or lower. A good combination for raising beef steers. Deposits for next years calves will be due by our Sept organizational meeting with selection following in Nov.
Also there will be a sign up sheet which will need to be filled out with everyone’s names wishing to attend the carcass show. This entry was posted in Blog, Sales, Winners. Bookmark the permalink.